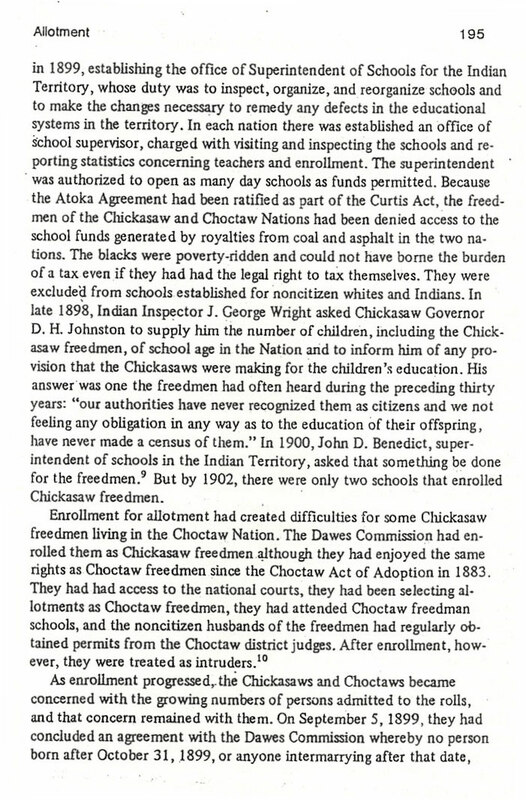 The Chickasaw and the Choctaw Freedmen were alloted 40 acres of land. Some received a little more, some a little less, depending on the "quality" of the land. The higher the quality, the less received (usually 20 acres). 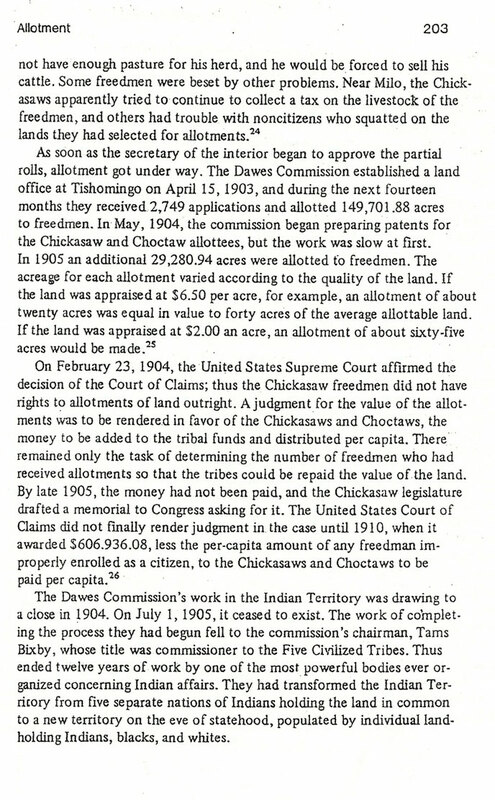 Average quality land was 40 acres. 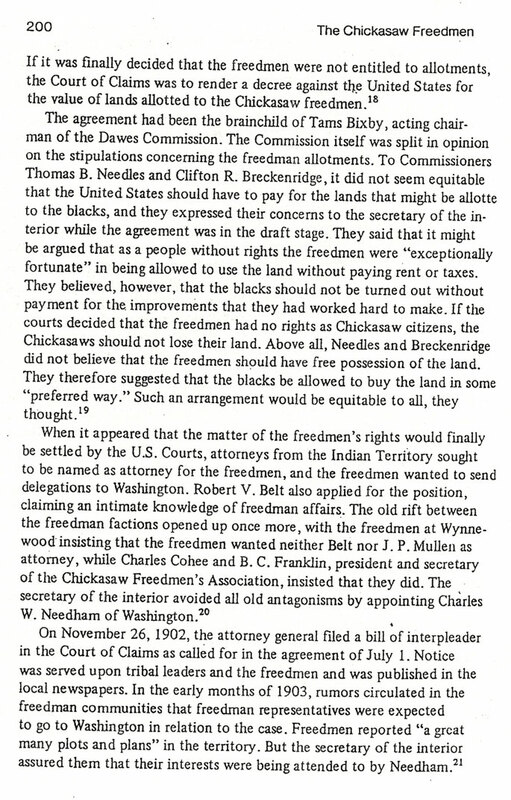 An Allotment Certificate and Patent were issued to the Freedmen. 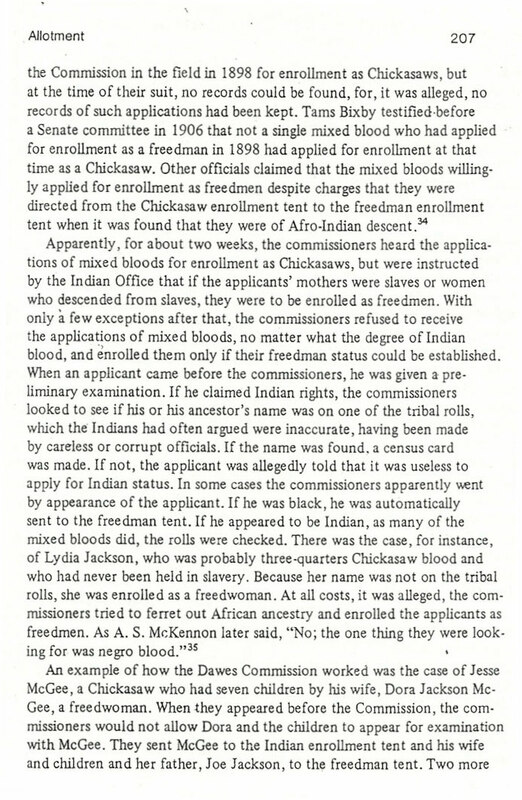 This is not the same 40 acres promised to blacks at emancipation. 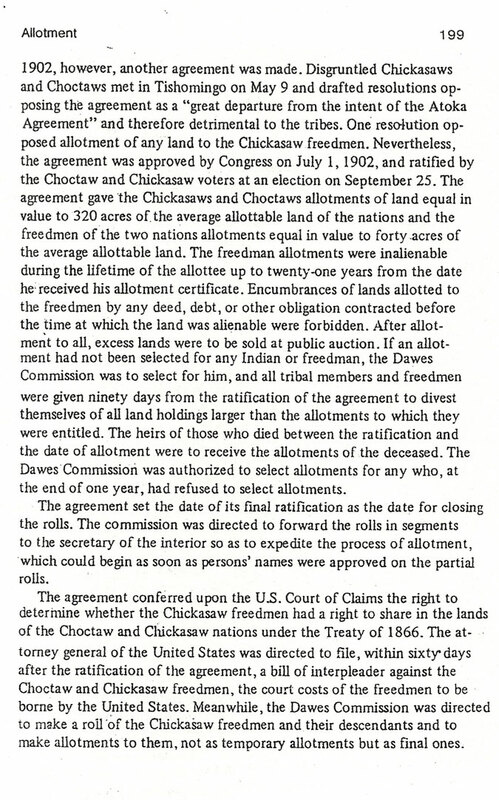 This land allottment (40 Acres) were given to the Freedmen - former slaves of the Chickasaw and Choctaws Indians by the Curtis Act of 1898. 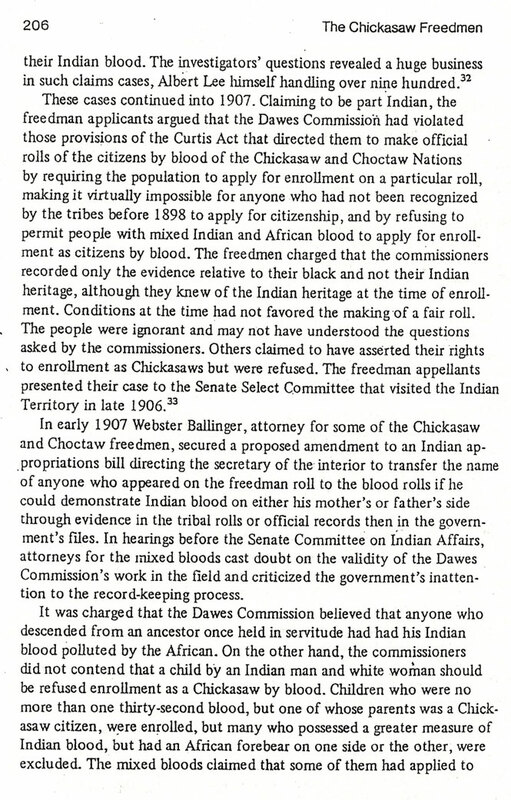 One hundred (or so) of my ancestors received land through this process. 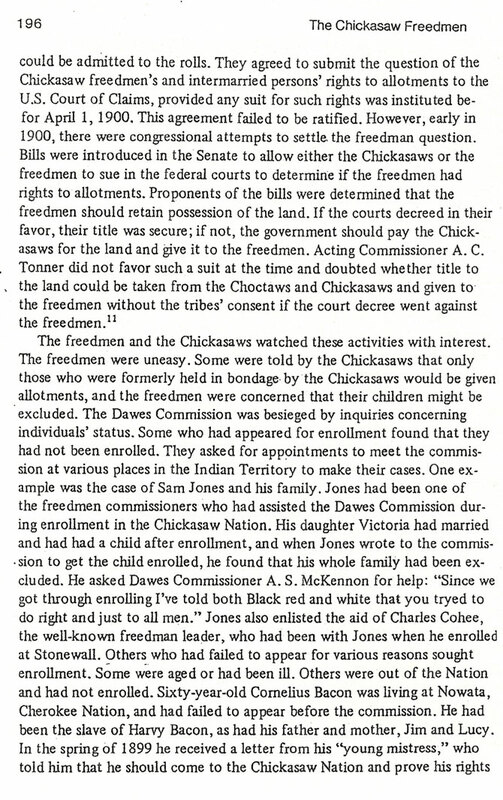 Some of my ancestor's descendants are stilling living on the land, others have sold their land, or lost their land through foreclosure or failure to pay taxes. 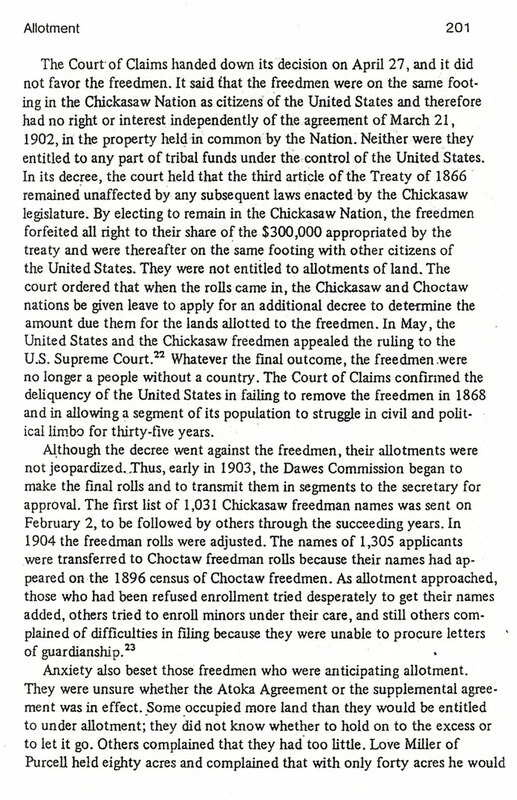 The Hastain's Indexes, which are located on this website, contains the legal descriptions of the land given to the Chickasaw and Choctaw Indians and Freedmen. 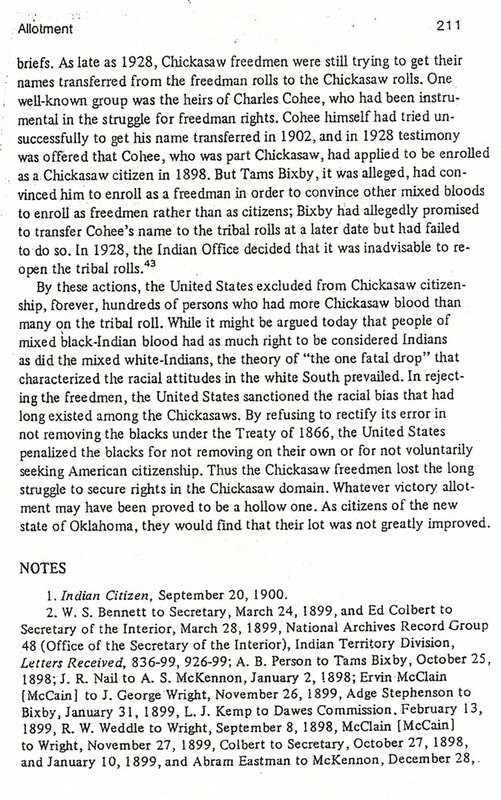 An Oklahoma Township/Range map is contained on this website and is provided to help you locate the county the land your ancestor's received is located. 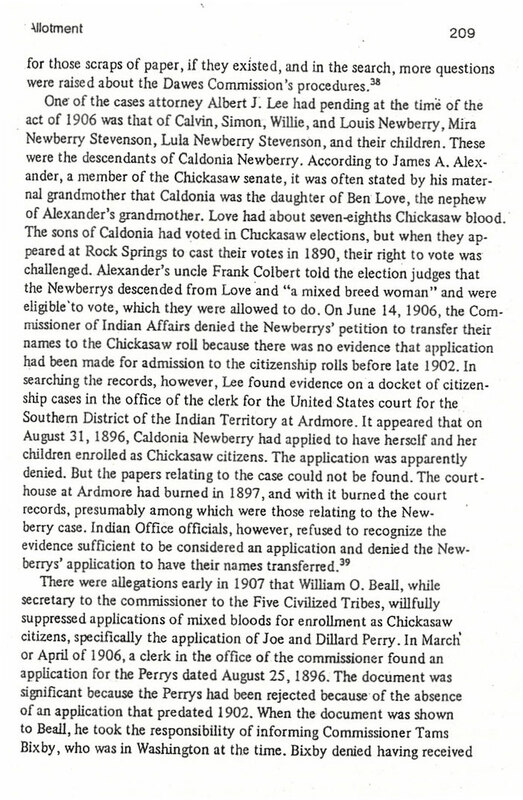 Once you know the county the land is located in, you can have a title search done to determine the disposition of your ancestor's property. 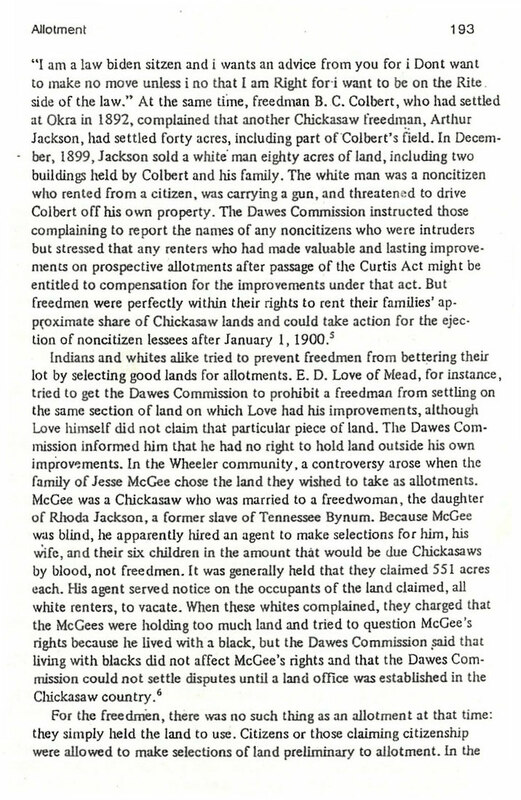 Sometimes the county office can recormmend a "land man" to do a title search for you. 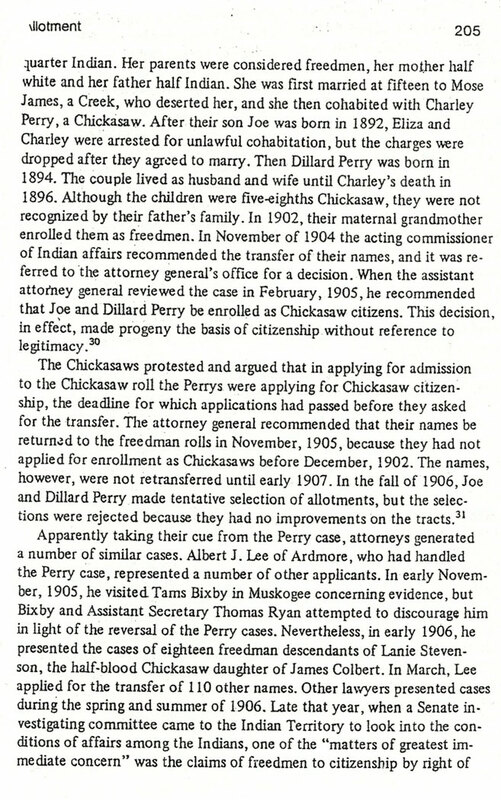 The deeds (warranty, tax, etc) can contain additional information about your ancestors. The deeds may show if there were additional owners of the property, for example, a spouse. 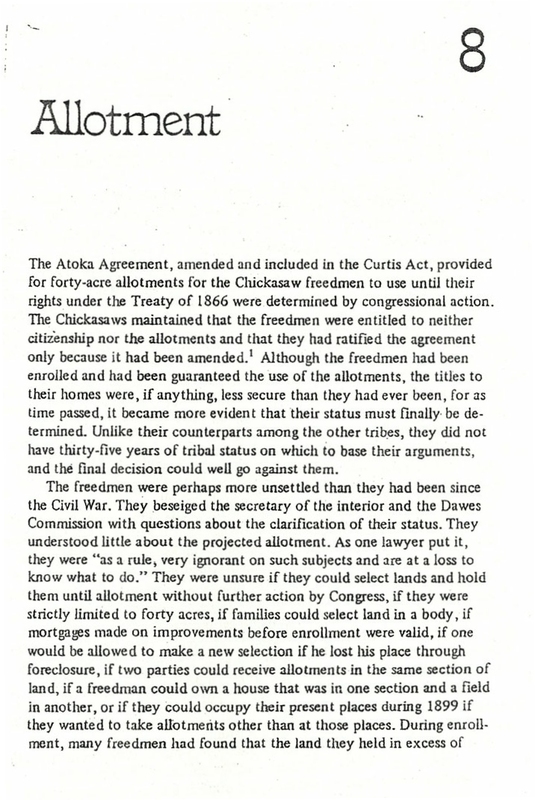 The following is information on the allotment agreement (Atoka Agreement/Curtis Act) and the allotment process. 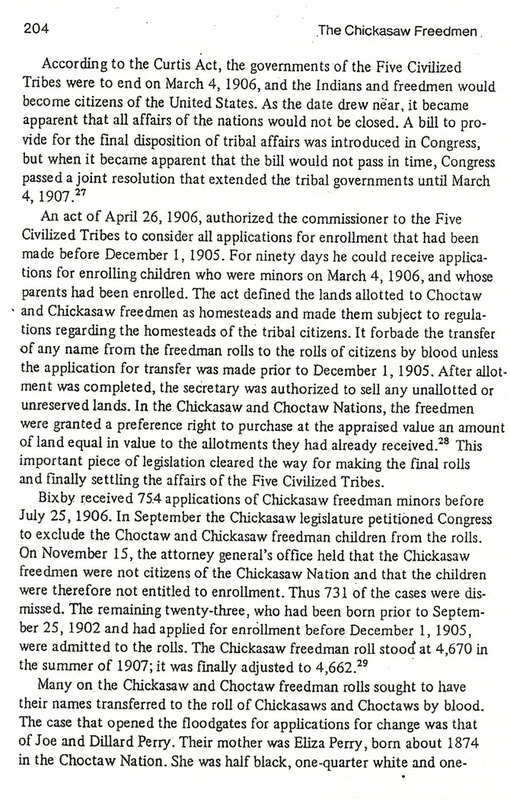 This index contains the "legal land description" for the land that was allotted to the Choctaw and Chickasaw Indians and was compiled circa 1910 by E. Hastain. 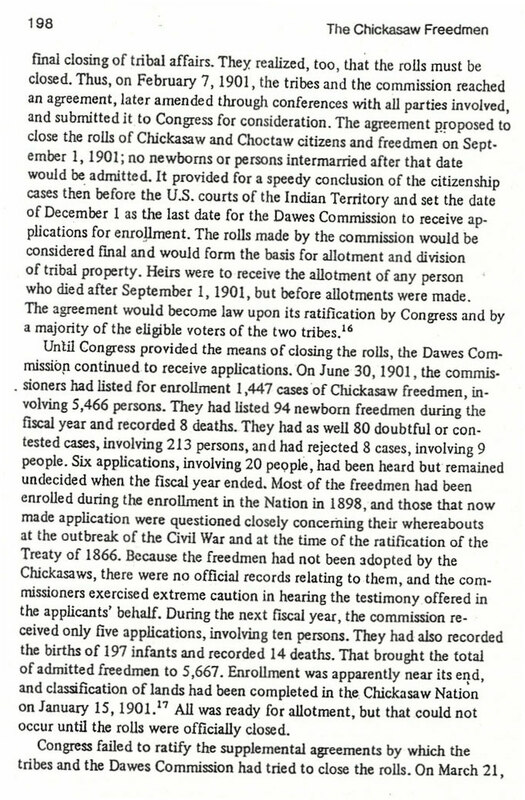 It is a supplemental index and most of the entries are for minors and newborns. 40 Acres and a Mule? 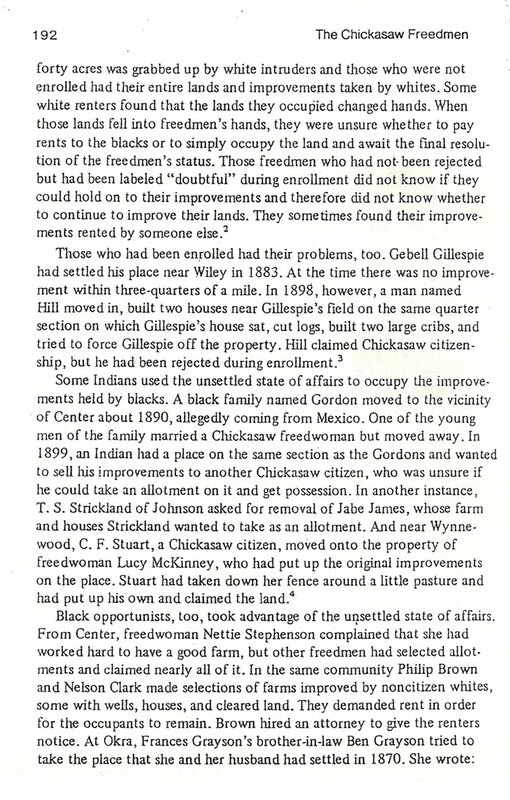 The phrase "40 acres and a mule" was derived from General William Tecumseh Sherman's Special Field Order No. 15, issued during the Civil War. 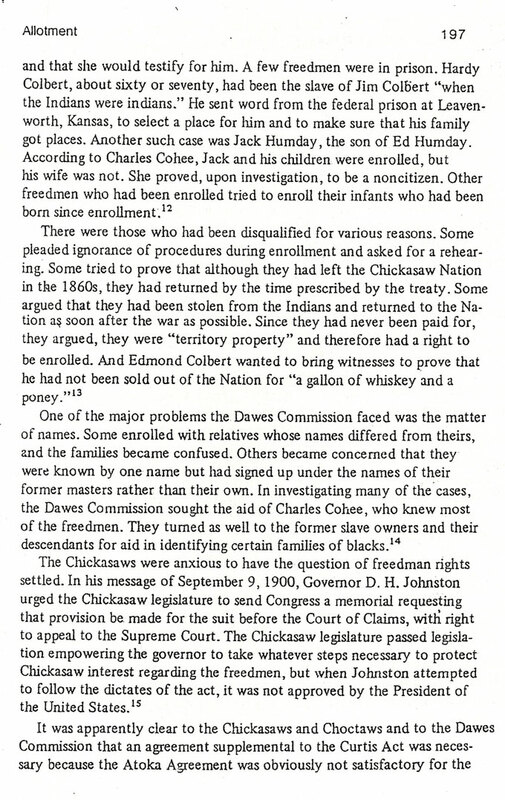 On January 12, 1865, near the end of Sherman's "March to the Sea," Sherman and the Secretary of War, Edwin M. Stanton, met with twenty Black community leaders in Savannah, Georgia, to get their input as to how Blacks would define "freedom." 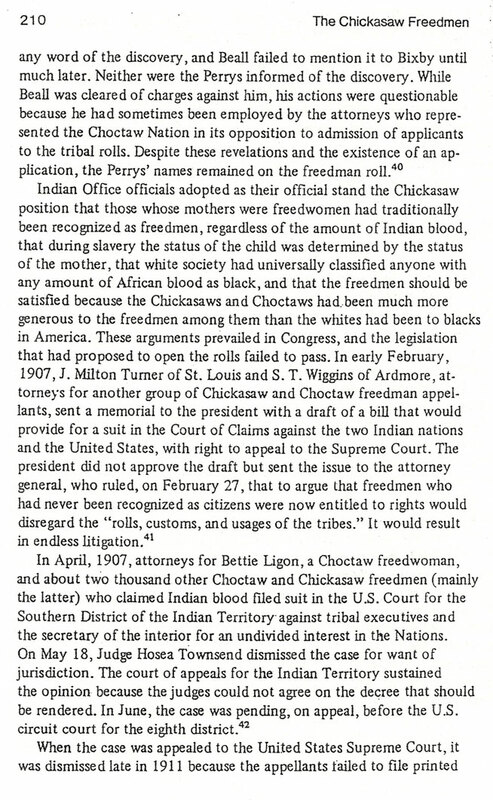 The leaders expressed a need for land and a separate Black "state". 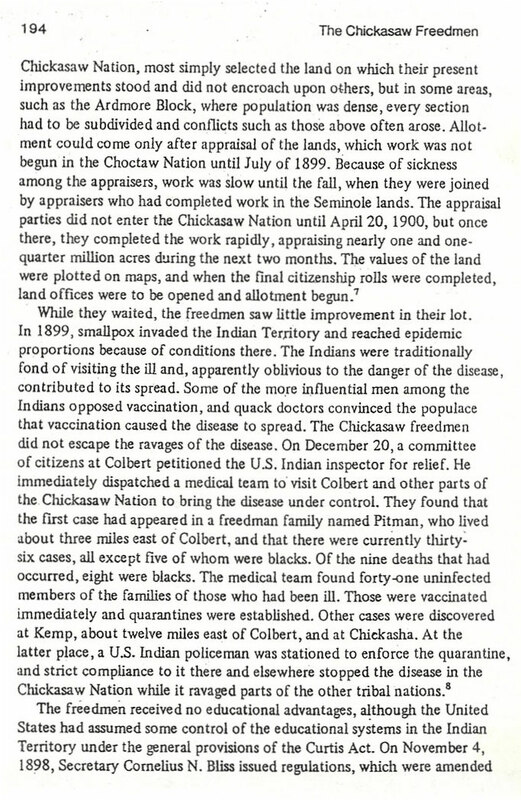 As a result of this meeting, on January 16, 1865, General Sherman issued Special Field Order No. 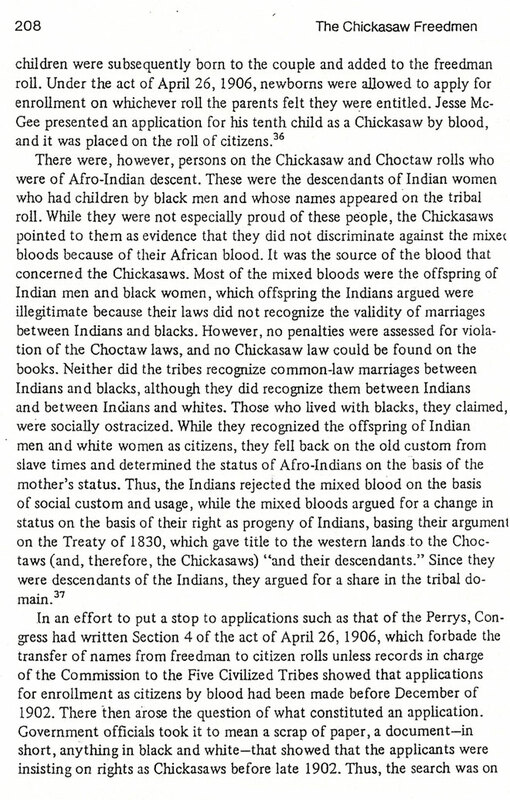 15, which set aside 7,600 square miles in a 30-mile wide tract of land (inland from the sea) along the Atlantic coast stretching from Charleston, South Carolina south to St. John's River near Jacksonville, Florida, for the exclusive settlement by Blacks. This area of land included all of the islands along the coastline between Charleston and St. John's River.